Its official, I have a t-ball player! And not only do I have a t-ball player, but I have a t-ball coach. 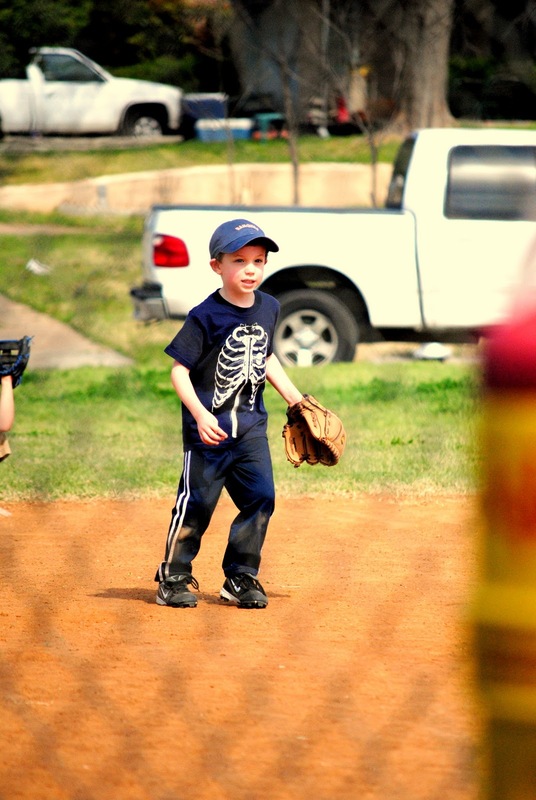 I cannot determine who is more excited – Luke that he is on a t-ball team, or Joshua that he is coaching one. 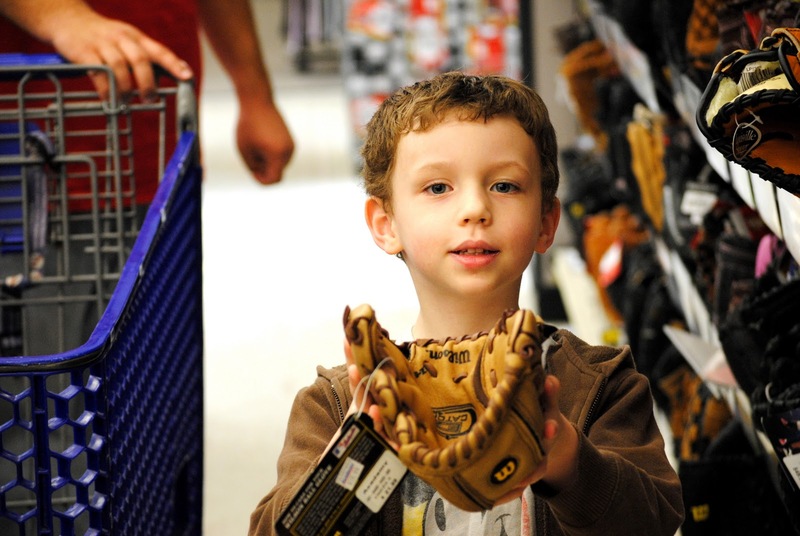 Joshua took Luke to get his glove and cleats and I asked if I could go along. Luckily for me, they both said yes. 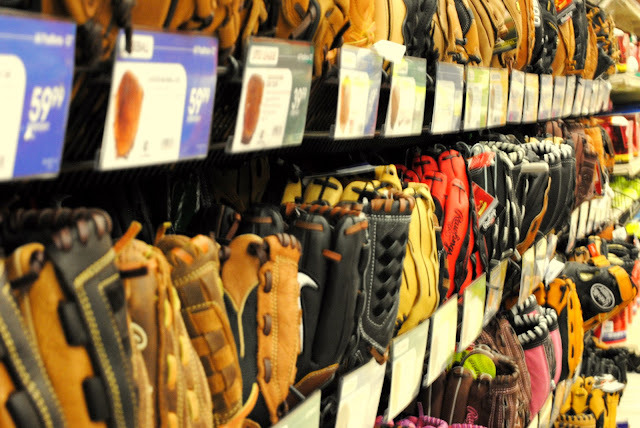 When we walked up to the gloves I was in absolute shock at the vast number of gloves to choose from. I immediately spoke up and put my two cents worth in. 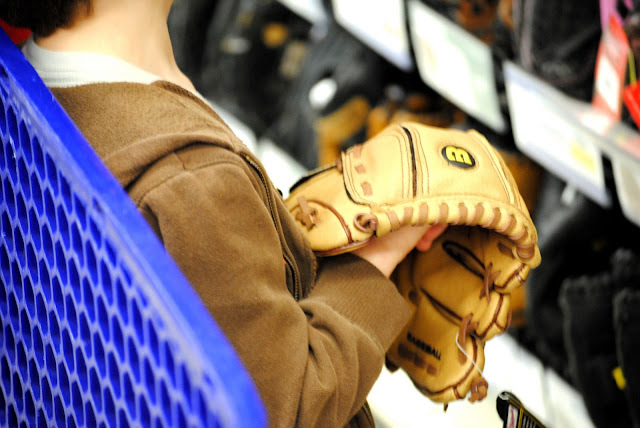 “Um, let’s stay away from the hundred dollar gloves.” I mean, if this kid starts playing in the majors, THEN we will stop at nothing for the glove. But for now, I am thinking cheaper will do him just fine. 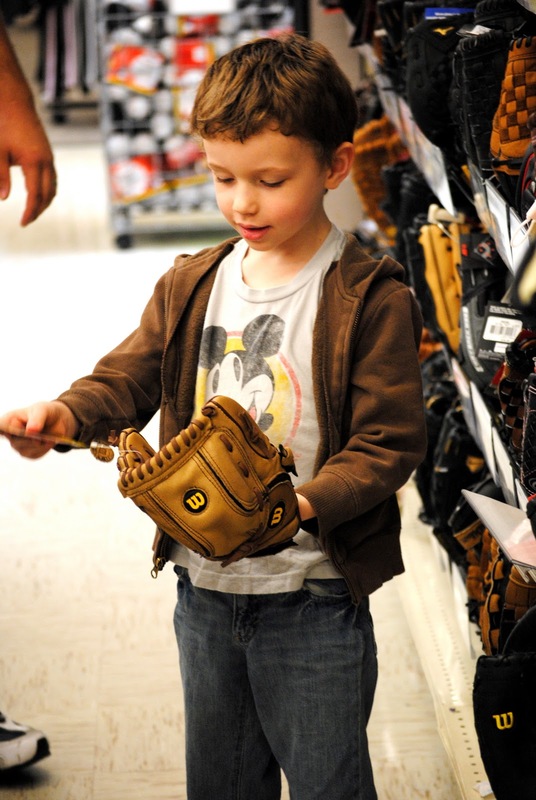 Joshua picked out a couple for Luke to try on and they settled on this nice glove. Luke liked it. I liked that it cost nowhere in the vicinity of a hundred dollars. Then we moved onto cleats. As Luke was trying them on, I was again taking pictures. I was getting some strange looks from some people as I was clicking away with my camera. I realized that my “my-son-is-playing-t-ball-for-the-first time” neon flashing sign was off. I turned it back on. And people took notice. A few minutes later,a lady commented, “playing ball for the first time, huh?” Yes, lady, he is. And yes, I am proud. And maybe just a little crazy. 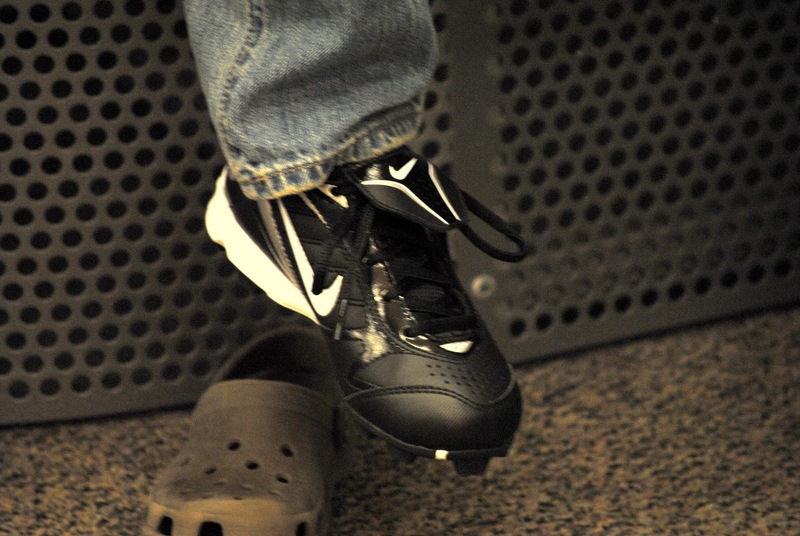 Out with the crocs, and in with the cleats.